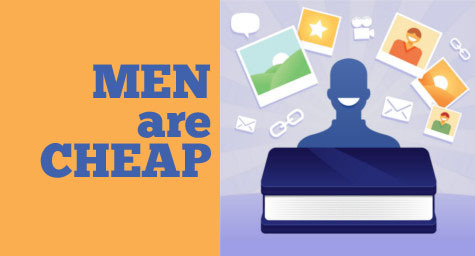 A recent study by Resolution Media revealed that men cost less to reach with Facebook advertising and have better response rates than women. While women comprise 58 percent of the total advertiser audience on the social media site, the study showed that male users actually view and click through a greater number of ads. Adweek.com reported on the details behind why men may make better marketing targets on the popular platform. The study indicated that men have a click volume of 60 percent and an impression volume of 58 percent on Facebook. This is noticeably higher than the 40 percent click volume and 42 percent impression volume seen among women. These results are being attributed to the idea that men have shorter attention spans on Facebook. This leads them to be more easily distracted and influenced by relevant advertisements, which subsequently makes men click on Facebook ads at a higher rate than women, who are generally more hesitant to respond to advertising while engaging in other activities on the social media network. Advertisers spent $4 million on Facebook advertising in 2011, according to data from eMarketer. The study showed that its participating marketers allotted 53 percent of their budgets toward targeting men. Given the findings that men generate both higher click and impression volumes, men are much easier and economical for marketers to effectively reach on Facebook than their fellow female users. While some may see these results as a sign that marketers should invest heavily in pursuing the male market with their Facebook advertising, it’s important to remember that there is currently a flood of male-centric advertising on the social media network. Most marketers are well aware of the lower costs associated with targeting men, so it’s better for brands to spend wisely than wastefully on their social media marketing. To incorporate Facebook advertising into your social media marketing strategy, contact MDG Advertising.